Sara Goldrick-Rab, whose Paying the Price: College Costs, Financial Aid, and the Betrayal of the American Dream, made waves in almost every major venue dedicated to the high-stakes consequences of American higher education—from Inside Higher Ed to The Daily Show with Trevor Noah—recently delivered #PricedOut, her keynote address at the 2017 SXSWedu conference. 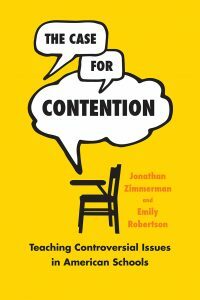 Here’s the official description: One of the most sustained and vigorous public debates today is about the value and crucially, the price of college. But an unspoken, outdated assumption underlies all side of this debate: If a young person works hard enough, they’ll be able to get a college degree and be on the path to a good life. That’s simply not true says sociologist Goldrick-Rab, one of the leading voices on issues of higher education today. 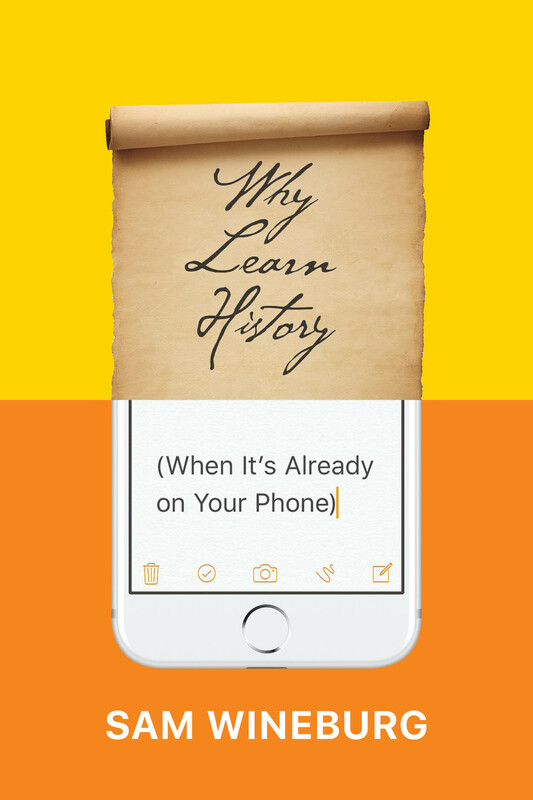 In her book and research, she shows why in damning detail. *** You can watch Goldrick-Rab’s talk in full above, or in the meantime, read more about Paying the Price, here. . . .
Sara Goldrick-Rab’s Paying the Price is the hammer that hits the point home in Elizabeth Tandy Shermer’s “The Student Debt Crisis and Its Deniers,” over at Public Books. More after the jump. *** Sara Goldrick-Rab doesn’t think a disaster is coming; instead, she believes it is already here. 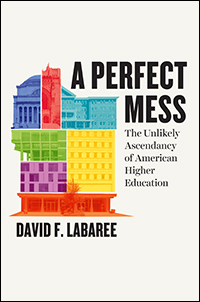 The few years of data that Baum, Akers, and Chingos parsed may have indicated that the status quo is fine, but the emergence of a new higher education economy is painfully clear from Goldrick-Rab’s parsing three decades of both policy changes and economic trends. The financial assistance underpinning the entire higher education system doesn’t lessen inequality—but actually exacerbates it. Tuition costs, as Goldrick-Rab points out, were once low enough that students could easily choose to either borrow or work their way through school. 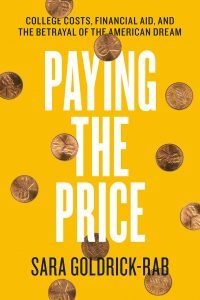 Her book, Paying the Price: College Costs, Financial Aid, and the Betrayal of the American Dream, documents that fees and expenses now force most students to do both, even those from low-income families who qualify for federal grants and work-study opportunities on campus. Of course, offsite part-time jobs are more readily available, but rarely pay enough or have schedules suitable for students studying full time (a prerequisite for maximum state, federal, and . 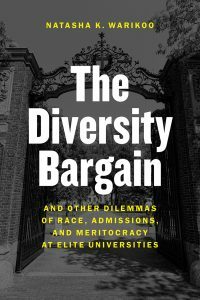 . .
Below follows an excerpt from “On Race and Meritocracy in Academia” at PopMatters, a review of Natasha K. Warikoo’s The Diversity Bargain and other Dilemmas of Race, Admissions, and Meritocracy at Elite Universities. *** Diversity is perceived as something that’s intended to benefit everyone, including white students. It isn’t defended as being a matter of social justice, but rather as the best way to equip young Americans to succeed in today’s world. White Americans (and other students with privilege) see diversity and affirmative action as something which is intended to benefit them, and so long as it appears to be doing that, they’re okay with it. But when diversity places barriers in their way—when they experience rejection in admissions or job applications or anything else which they can find reason to blame on affirmative action—they’re quick to criticize it, or to blame it for their own shortcomings. 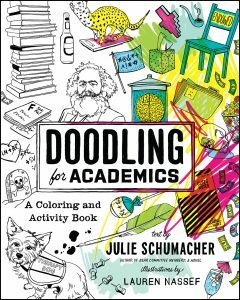 There’s a related imperative for minority or marginalized groups of students to appear to be living up to their ‘side’ of the ‘bargain’, i.e., giving the privileged groups exposure to their marginalized peers, and contributing to the privileged students’ education on diversity. When marginalized students form identity-based student groups, or hold events to which white students . . .